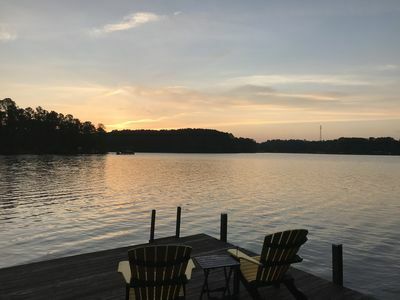 View the Sunrise with this Five mile view up Lake Gaston. 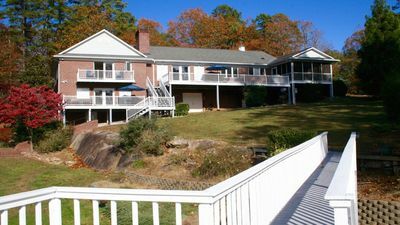 Stunning main lake waterfront home, off Lizard Creek with brand new furniture and completely updated appliances. 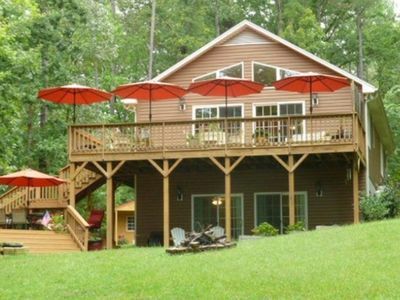 Watch the thunderstorms from the screened in porch. 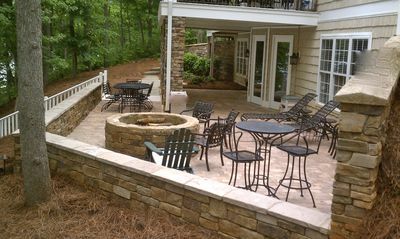 Grill in the afternoon right off the kitchen/dining with easy access to the deck. 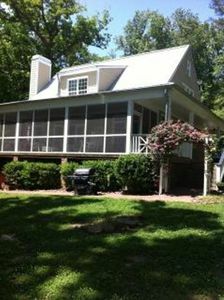 Enjoy your morning coffee on the porch or on the dock with amazing panoramic lake views and clear water. 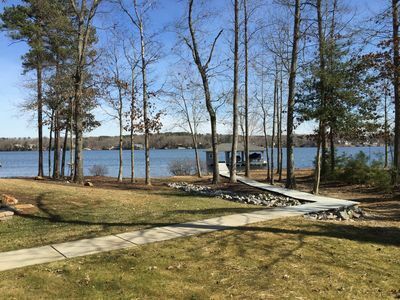 Step down into the lake right off the dock into a sandy bottom, perfect for any age to easily access. 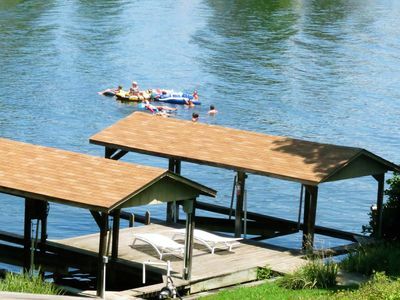 Or jump off the end of the dock into deep water for the fun loving bunch. 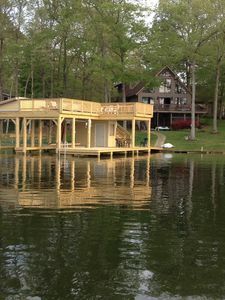 Boat Lift is rated for 4000 lb. Tie downs available on both sides of the boathouse. Two huge Wifi enabled Smart TV's available, sign into your Netflix, Hulu, or Direct TV Now. 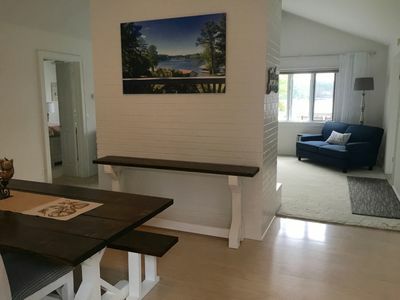 Main floor provides King Master bedroom with en suite bath. 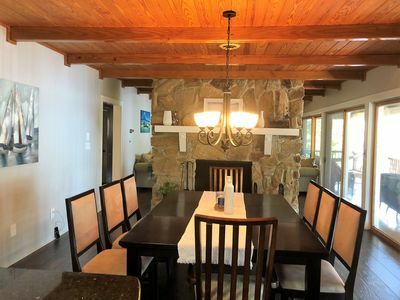 Lower level has King bedroom with French Doors out to covered patio, with 2 more Queen bedrooms and bunk bedroom with 2 sets of twin over full bunks. Garage use will be provided, use with care by adults only. 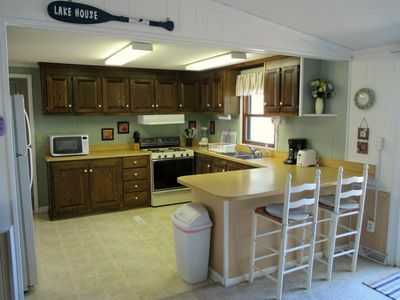 Please take our large Canoe out on the lake and enjoy! 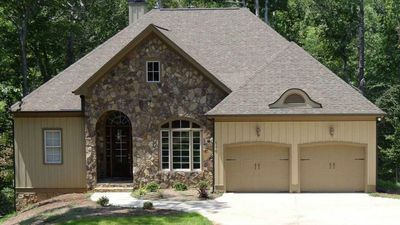 Located within Quail Ridge Subdivision, boat ramp access, inquire about code (changes yearly). No Smoking. No Pets. 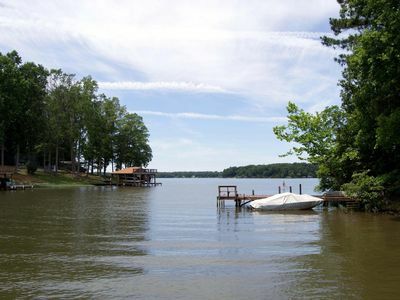 Very close proximity to Food Lion, Lake Gaston Pizza, and the restaurants on the water, one with live music. Goat Island is also a short boat ride away, for those who bring or rent a boat. 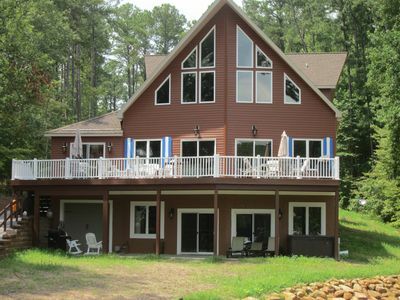 Gorgeous 5 Bedroom Home Just Seconds From The Main Lake FOR SALE!! 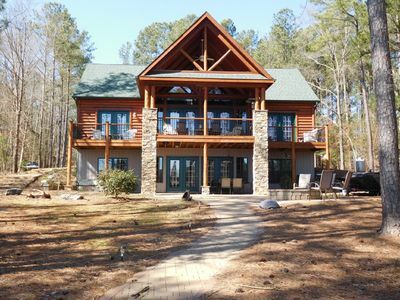 3,500 sq ft MAIN LAKE - deep water, boat house, hot tub & beach! 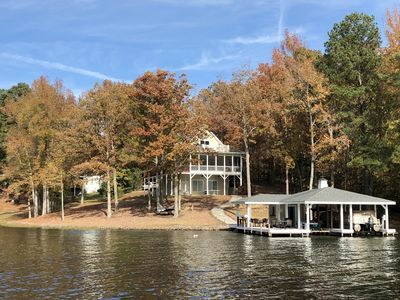 Amazing View Sleeps 22- Main Lake Vacation Home! 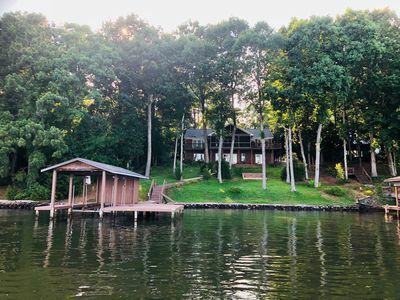 Tropical Paradise on Lake Gaston Boathouse/Kayaks/Paddle boards. Pets Welcome! 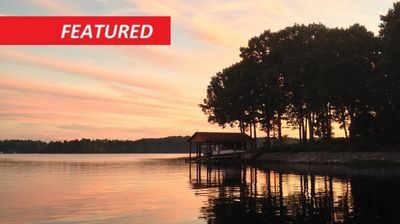 Welcome to Crystal Cove On Lake Gaston! 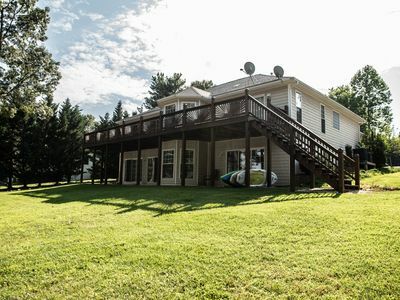 Popular Location On Pea Hill Creek with deep water! 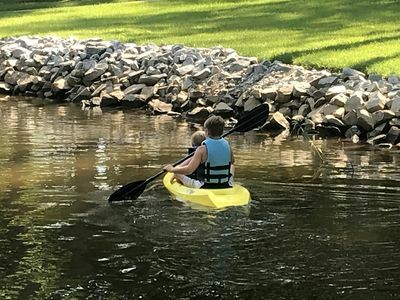 Pea Hill Creek Peninsula Playground!